We’re with you, in any event. Our semi-private rooms offer space for few or many, with the assurance of our signature dishes and service. 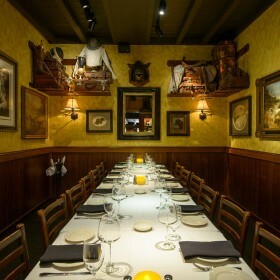 From near or far, bringing your business partners to Sundance The Steakhouse is a surefire wow. 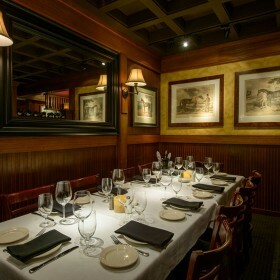 We offer the perfect space for parties from the festive to the sophisticated. 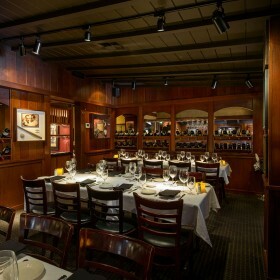 No matter the occasion, Sundance The Steakhouse offers bespoke menus and unforgettable accommodations. Let over 40 years of banquet hospitality make your event a success. Please note: Sundance’s semi-private dining rooms are not closed off (completely private) from the rest of the restaurant. We do not permit the use of AV Equipment including microphones, screens, podiums, etc. We are strictly a dining venue. Thank you.